Immersion Data Solutions (IDS) provides location intelligence and immersion capabilities to Fortune 100 and Fortune 500 clients nationwide. 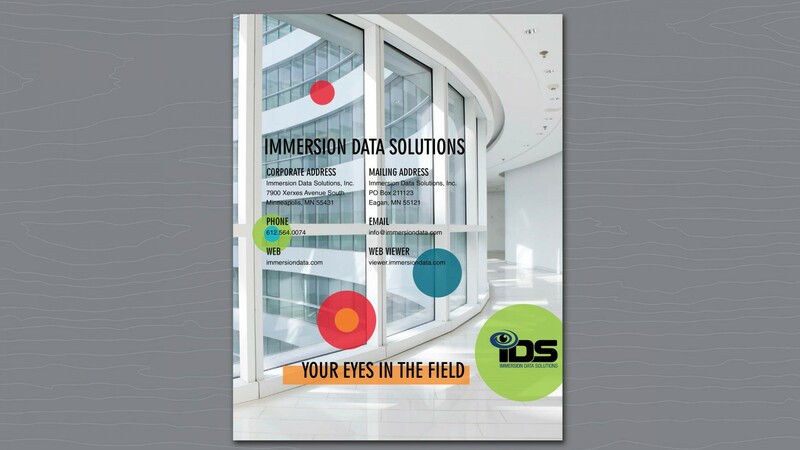 Through hi-tech capturing equipment and a state-of-the-art online application, IDS provides data that helps their clients make management decisions about their facilities – exteriors, interiors, and operational. 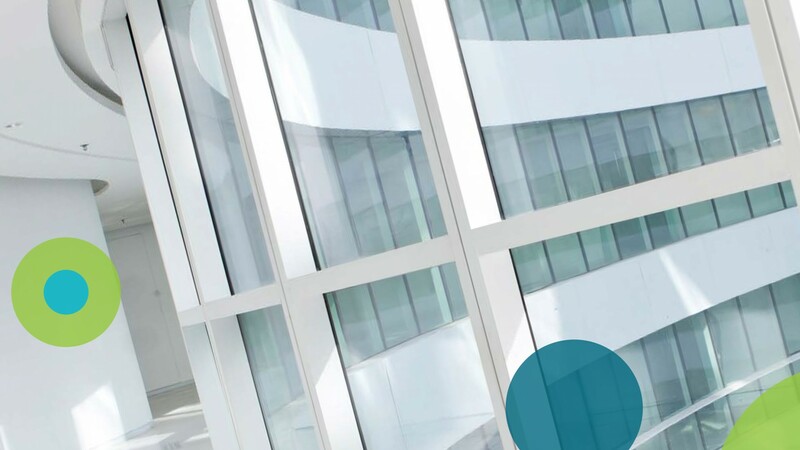 IDS clients can make decisions remotely through the online and mobile friendly application, without ever leaving their current location. Clients also have the ability to collaborate with other management team members remotely, with each being in different locations themselves. 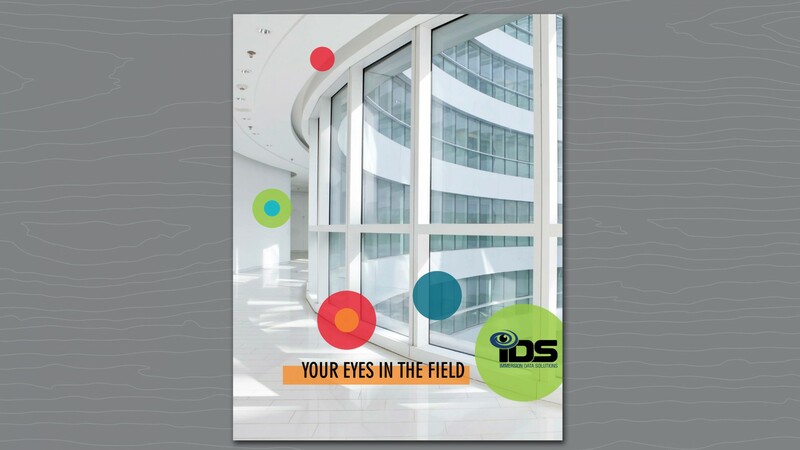 This capabilities brochure highlighted these key selling points for IDS, a true leader in this field. 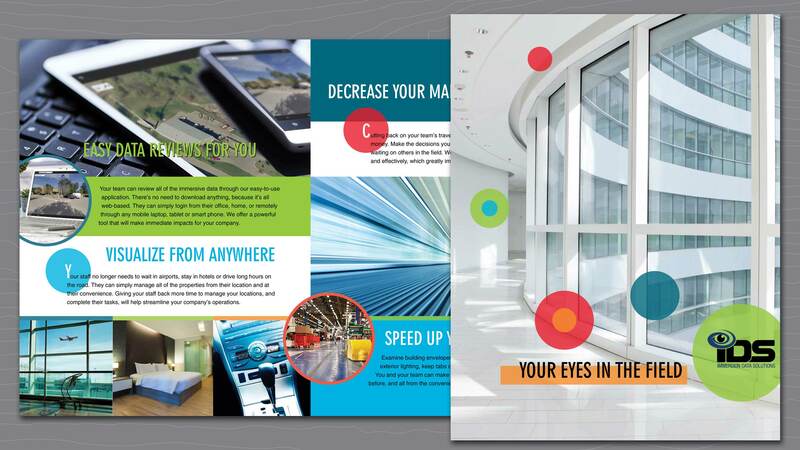 Visually, the design of this capabilities brochure pushed a modern look with website inspired color fields and containers to divide the key selling points. All imagery purposely represented travel, speed, technology, collaboration, and various facilities. 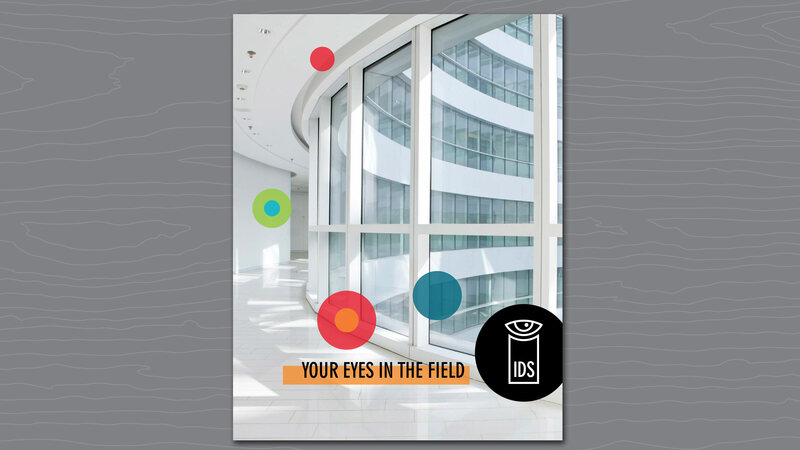 Through the process of researching and developing a creative direction for this brochure, new branding for IDS was also proposed. 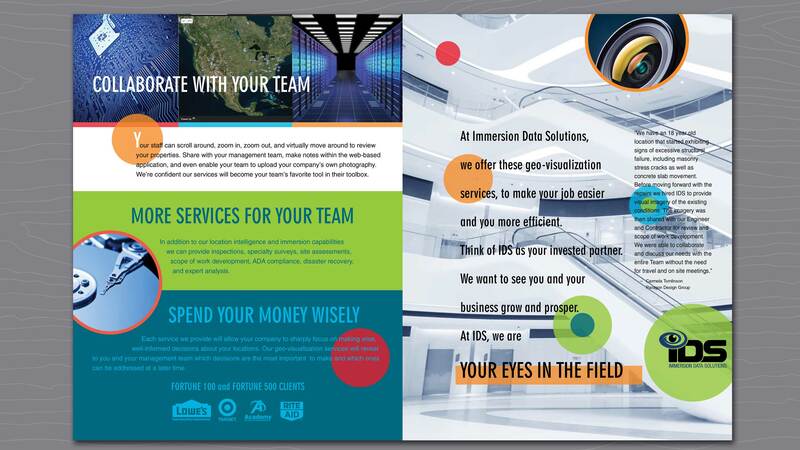 Full view of capabilities brochure front cover created for IDS. 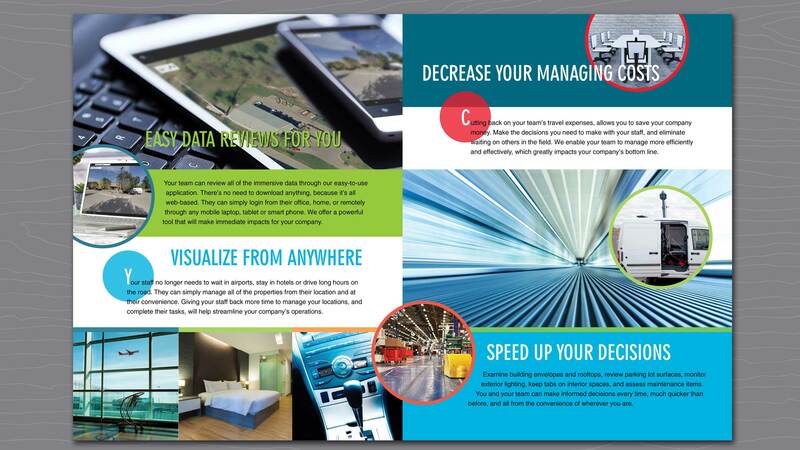 Full views above of capabilities brochure interior spreads created for IDS. Full view of capabilities brochure back cover created for IDS. 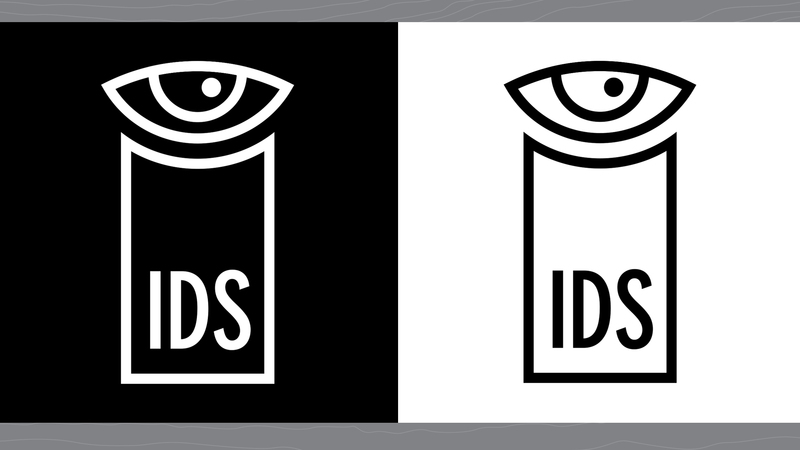 Full view of proposed new primary brand marks created for IDS. 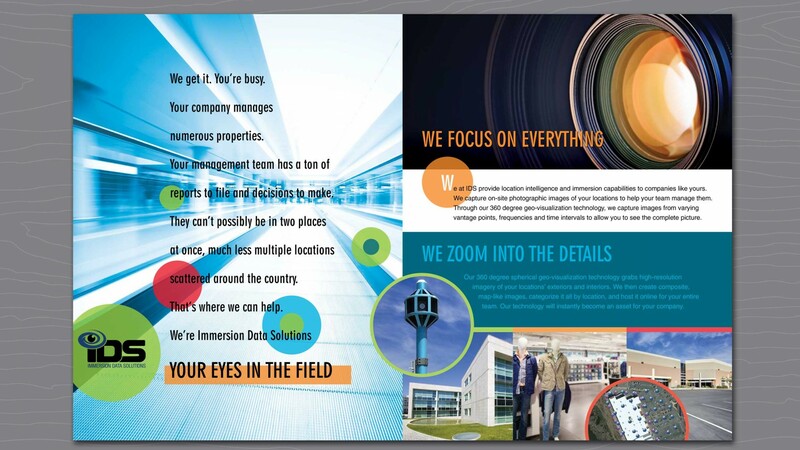 Full view of capabilities brochure alternate front cover with proposed primary brand mark included. 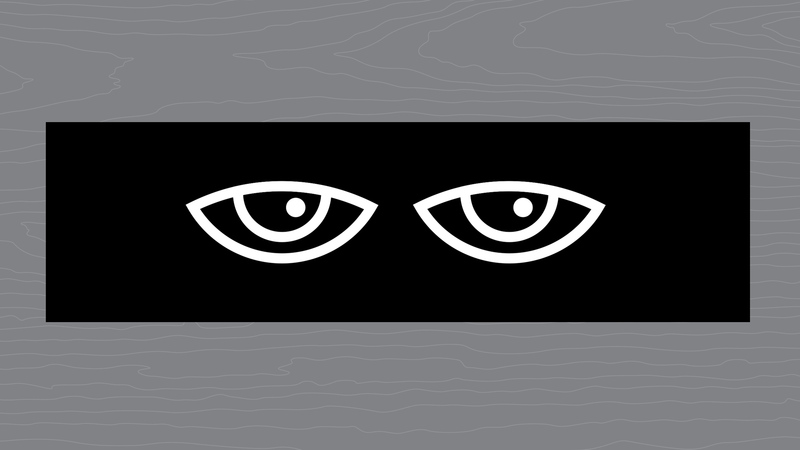 Full view of proposed new branding elements created for IDS.